Prometheus was featured at the annual comic convention in Barcelona this week. (Salón Internacional del Cómic de Barcelona to the locals). 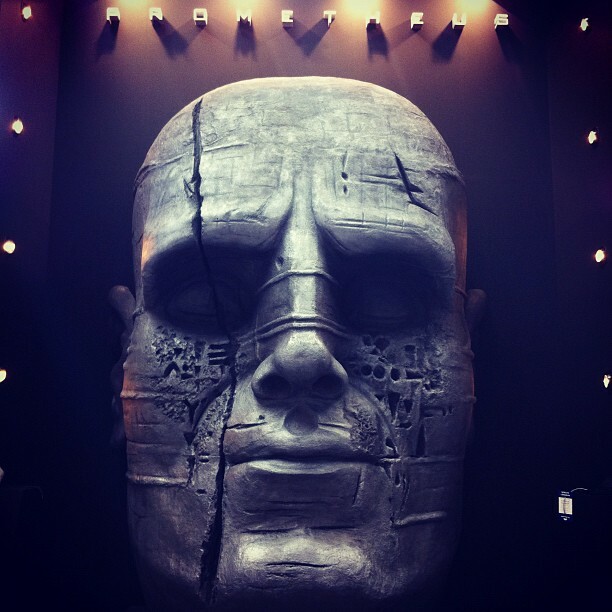 I don’t think there was any kind of panel or event but fans spotted this massive head structure where people could watch the film’s trailer on the connected laptops. You can check out more pictures here, here, here or here. A cool piece of advertising, nonetheless. Thanks to seeasea for the links. the heads looks wrong, how f**ked up was the artist who sculpted this!? LOL I can't stop laughing at this... The thought of thousands of Prometheus fans across the globe looking at those odd chubby cheeks and that weird little smile thinking, "What the f**k!?" is just too much. The tagline is translated into the Czech language.